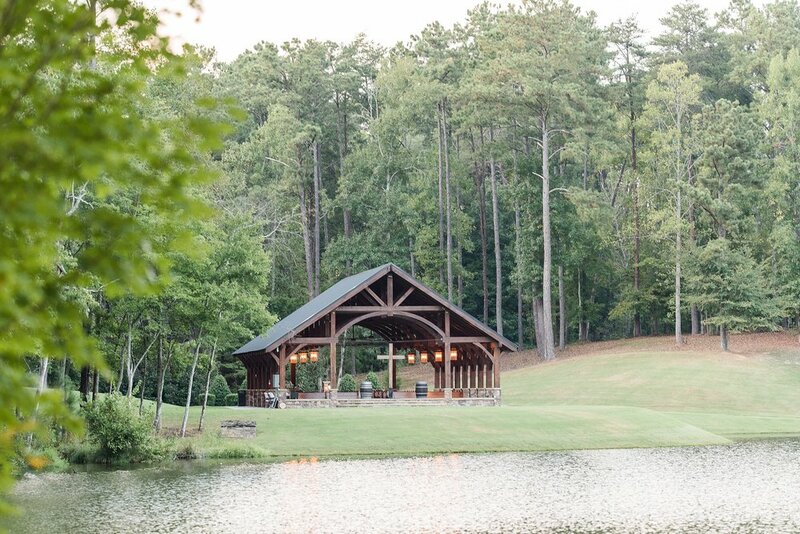 When I first met Kayla and Cody, it was at their engagement session in Cartersville. (See those photos here) And let me tell you...it was freezing!! But I truly got to know how amazing they are because during their session, they were so kind and up for anything! It is a true test of your personality when you are put outside in the freezing cold weather and in front of a camera. “Ok guys, look natural and warm!” haha. But they did a great job! I knew then that they were going to be so easy to work with under any condition - weather included. 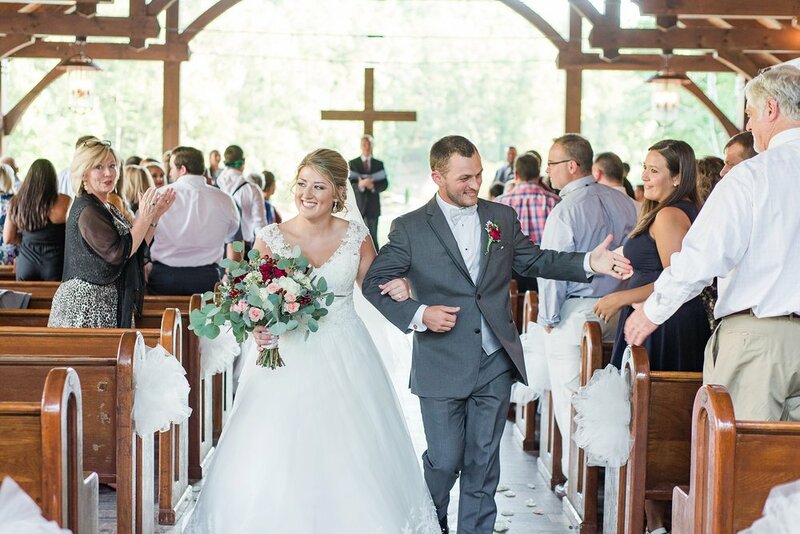 Fast forward a few months and we finally arrived to their wedding day! Thankfully, a completely different season than their engagement session! Warm weather, yes! 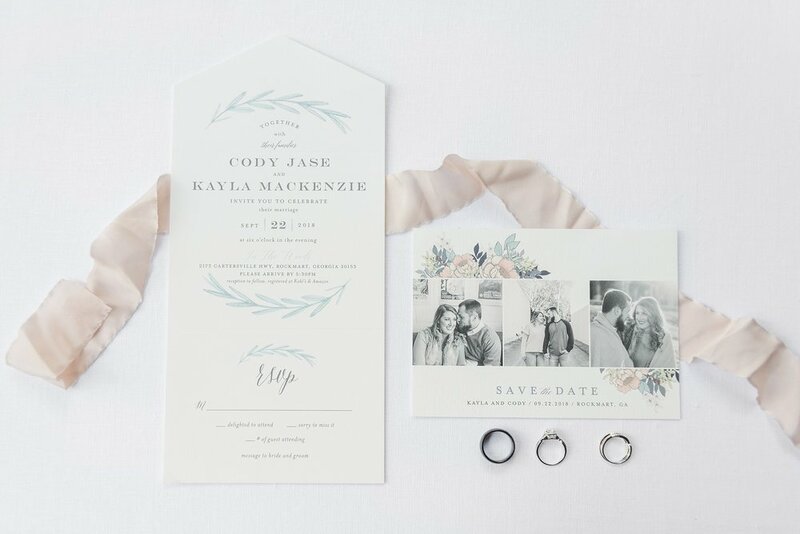 One thing that I quickly realized (long before their wedding) was that sentimental memories were very important to Kayla and Cody. I knew while we were planning their photography schedule that they were going to have a wedding filled with key moments that would be huge memories for them. These are the kind of moments that are not really planned for, but just naturally unfold throughout the day. 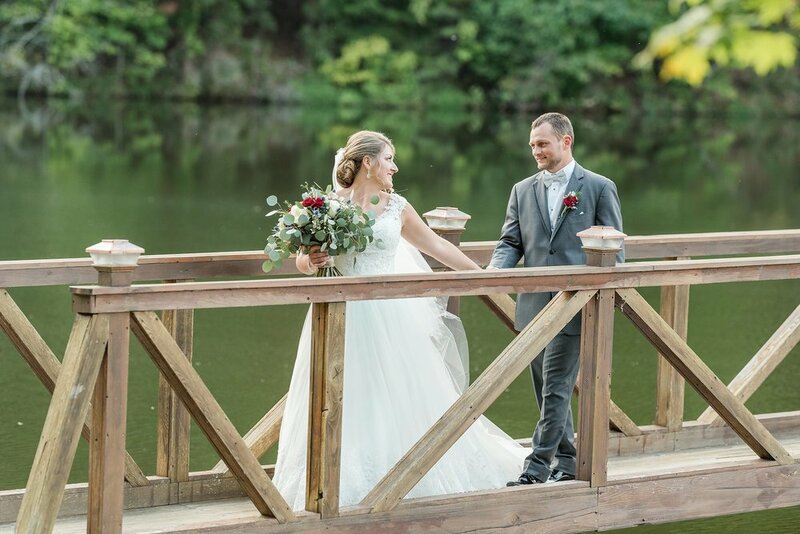 One of my favorite moments was when Kayla did a “first look” with her dad on the lake dock. 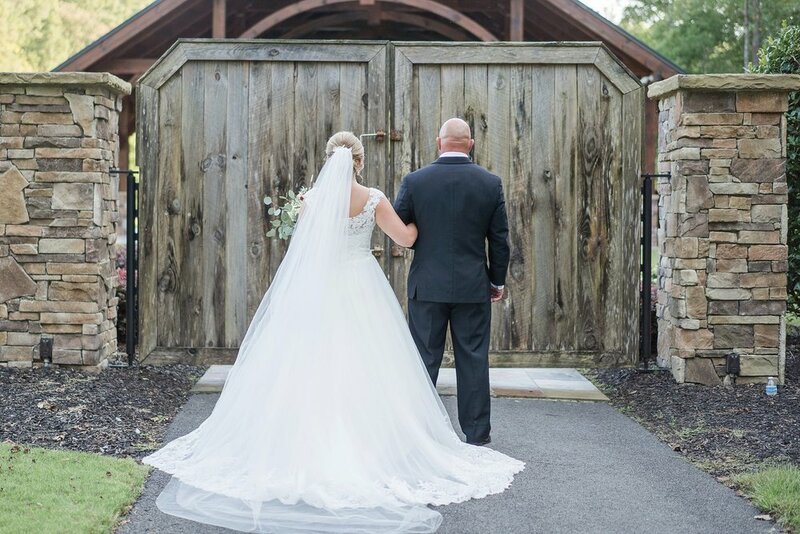 As her sister helped her carry her dress train, you could already feel the emotions in the air as Kayla walked towards her dad. Cue the tears! I know every father/daughter relationship is different, but these two obviously have a very close relationship. It was so endearing to watch and photograph! After many months of planning and preparing for this next adventure, the day goes by so fast! In the hustle and bustle of a wedding day, I hope that these pictures serve as a reminder of all the amazing things that happened. 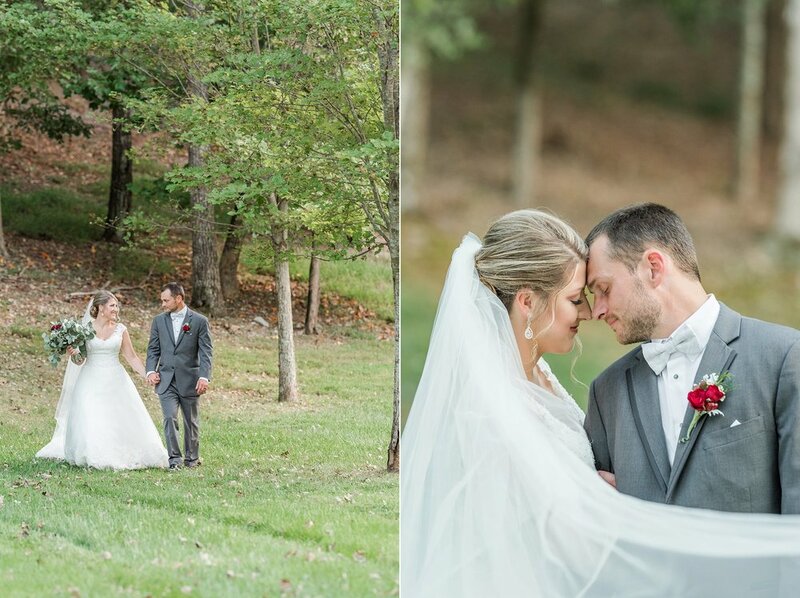 Here are some of my favorite pictures from Kayla and Cody’s day! 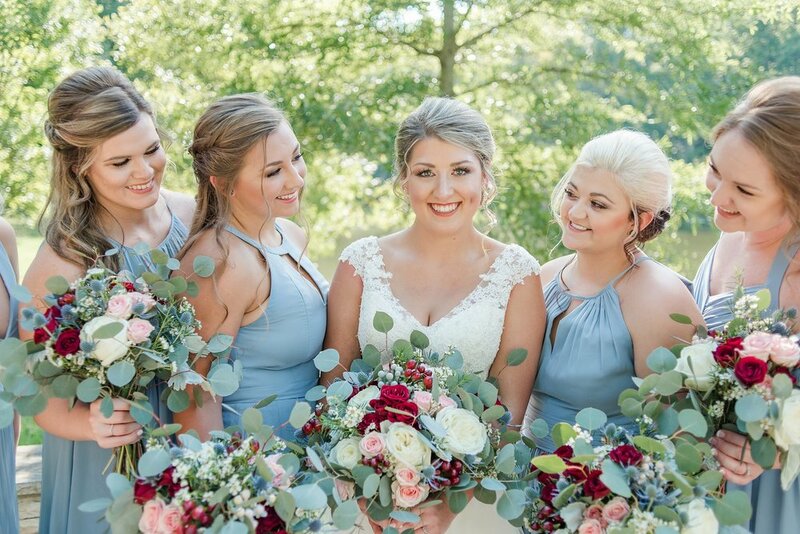 First time the bridesmaid saw Kayla in her wedding dress that day! So sweet! The guys were hanging out at a different location and I love how funny they are! Some of these photos were completely their ideas - and I think they loved putting their ideas into action! 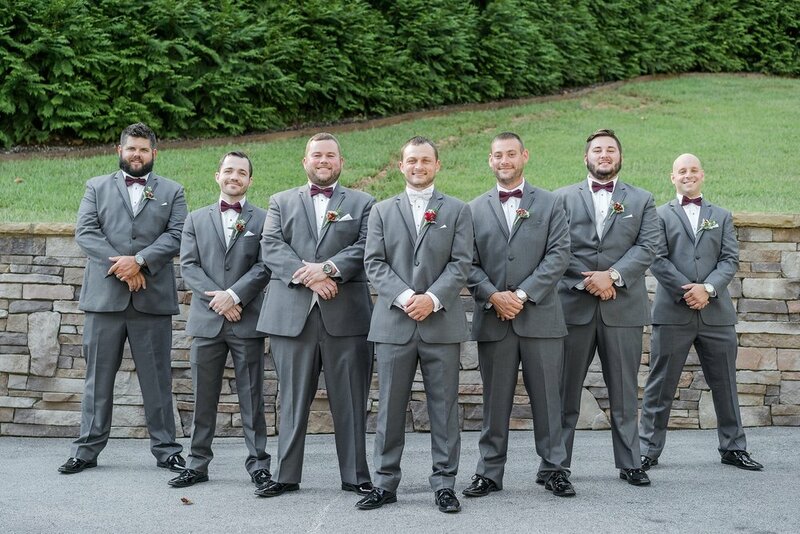 Usually groomsmen are not super interested in pictures. Not these guys! 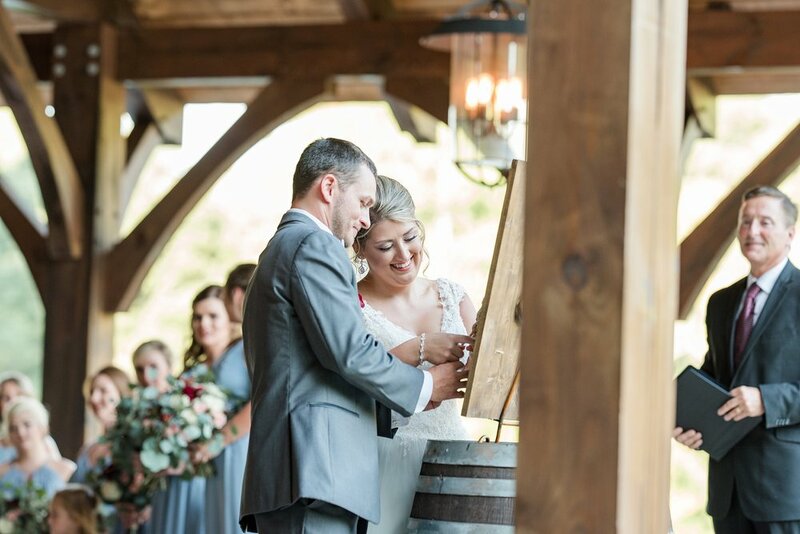 Kayla & Cody wrote letters to each other and read them before the ceremony. Such a simple and easy thing to add to your wedding - and a great memory to read each year for your anniversary. 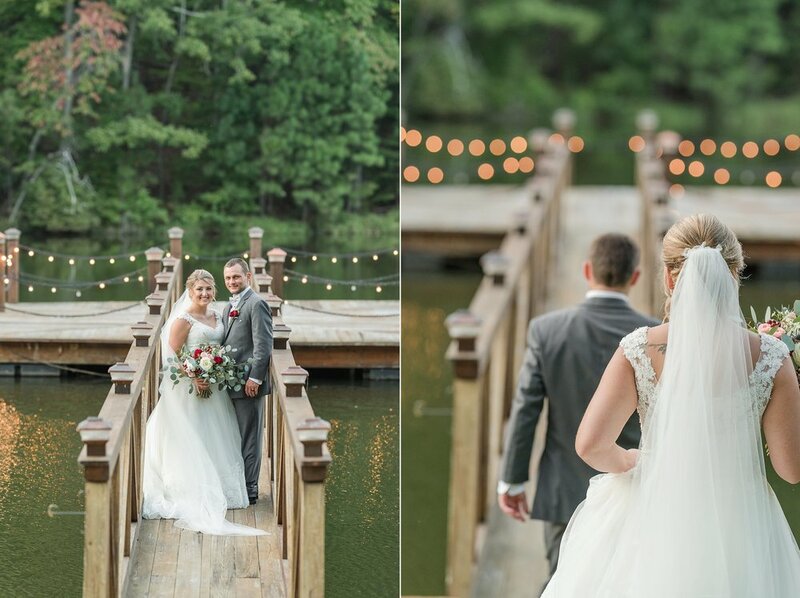 And then we headed to the lake dock for the father/daughter first look. We really just needed to carry around tissues the whole day! I always like to photograph the bride & bridesmaid first - because it lessens the chance for you being seen by guests! 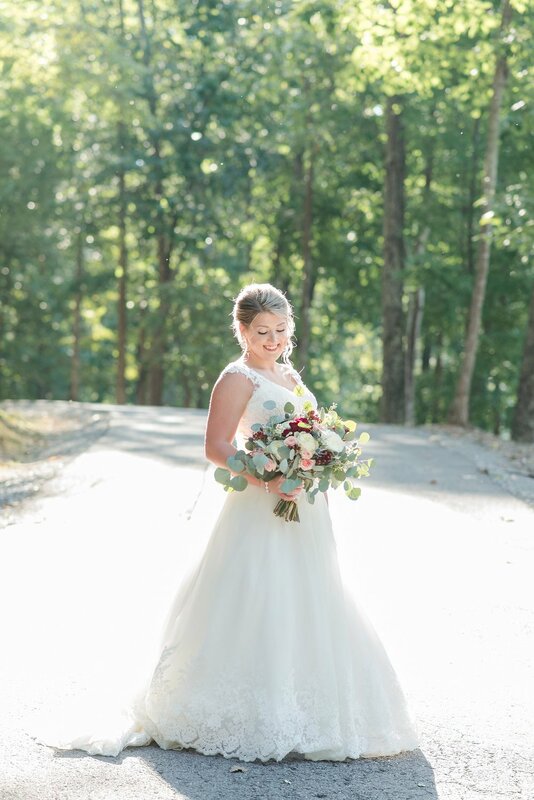 We had the prettiest light for these pictures - love how it made them look extra magical! 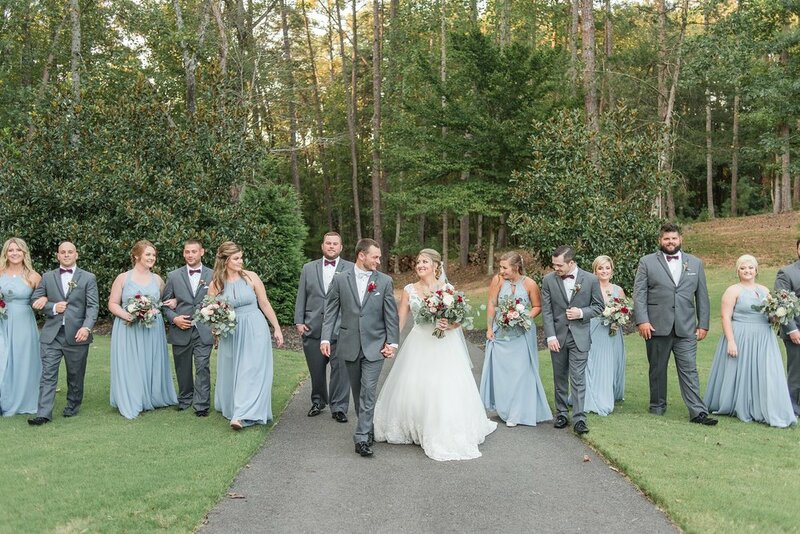 I loved this location for the bridal party photos! The cutest “just married” couple ever! Getting a ride to the reception. We snuck outside to get a fun night shot and I think it was totally worth it! I love how colorful this turned out! Then right back inside for some more dancing! 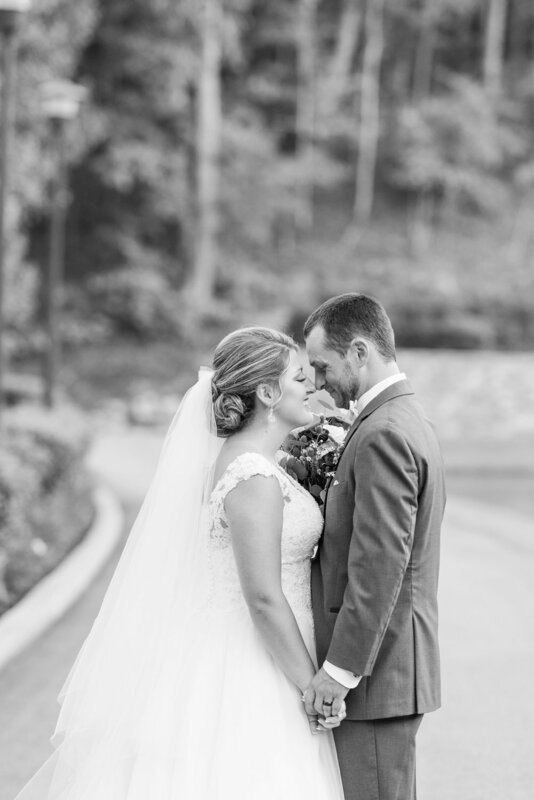 A huge thank you to all the amazing vendors who helped make Cody & Kayla’s wedding day so wonderful!